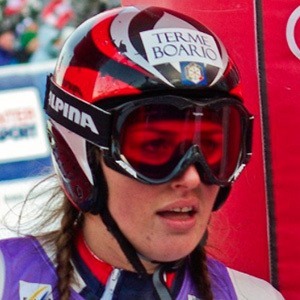 World Cup alpine ski racer from northern Italy. She's competed in three Olympics, five World Championships and 14 World cups. She's originally from Lovere, Bergamo, Lombardy in Northern Italy. Due to a tumor detected in 2017, initially she announced she would not compete in the 2018 Olympics in PyeongChang, but wound up skiing in the Super-G and Downhill races. Her younger sisters Elena and Sabrina have also been competitive skiers and members of Italy's World Cup team. Lindsey Vonn won a gold medal for the Super-G during the 2018 Winter Games while Nadia took 12th.